​Current staff member, Ms Kelli Lambert, started working at Rosanna Primary in 1994 as a Physical Education teacher and 21 years later remains a dedicated staff member. At the time Kelli was the youngest staff member to be appointed to the teaching team. She has seen many changes at the school during her time including four different Principals including Keith Grainger, Lindsay Chandler, Geoff Richardson and Heather McIntosh. Kelli has many fond memories of Rosanna but a couple that that particularly stand out for her are working with a group of grade 2 students for 4 years, preparing them to be Premiers in the Heidelberg District netball grand final. St Martins had been the powerhouse school when it came to netball for many years and finally RPS claimed the title. One of Kelli’s fondest memories was working with her mum at the school, who was the bursar in the office for 11 years. Kelli says, “One of the most special aspects of being a staff member at Rosanna is that I have worked with some amazing staff throughout that period and made such wonderful friends”. Rosanna is a special place because of the students, the staff and the parents. Rosanna is home to a very supportive environment and a strong sense of community connectedness”. Kelli’s children two children, Ben (2004 - 2008) and Chloe (2005 - 2011) were both students at Rosanna Primary School. Greg Tucker is the current CEO of Maurice Blackburn and attended Rosanna PS along with his older brother and sister in the 60’s. 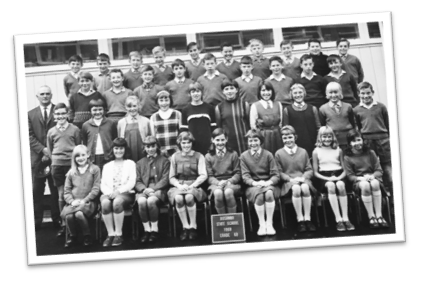 Greg attended Rosanna Primary School from 1963 to 1968. His older brother, Peter, was there 4 years earlier and his older sister, Sue, 2 years earlier. The Tuckers lived in St James Road, Rosanna, and they walked to and from the school - sometimes stopping halfway for some chips or potato cakes on the way home. Sunnyboys, Razzs and Glugs”. 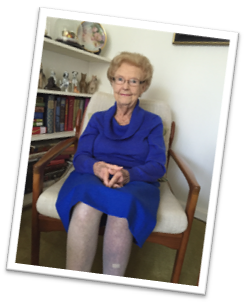 “I had a range of excellent teachers, particularly Mr Gardiner in 6th grade. He actually taught us to appreciate poetry and how to recite it”. Mrs Sharyn Martinussen started teaching Visual Arts at Rosanna Primary back in 1992. The Principal at the time was Mr Keith Grainger and Mr Lindsay Chandler was the Vice Principal. 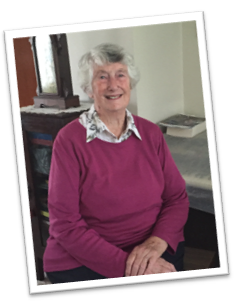 ​Bronwen Roy started at Rosanna Primary School in 1955 and lived with her parents and younger sister, Glenda, in St James Road. Bronwen remembers having to walk the mile to school and back each day. On her very first day at school after walking the mile, Bronwen and her mother arrived only to be told to go back home as the building wasn’t finished yet – one mile each way was a very long way for a little one to walk!! The School’s entrance was at the Corner of Bellevue and Davies Street. It was a long walk from the gate to the classrooms up the hill. During winter time, the students were allowed to bring their slippers to class as their feet would be saturated by the time they got to their classrooms. One of Bronwen’s most fond memories was a project that they undertook in Grade 5/6 where they had to pretend they were going overseas on a trip on the Oriana Cruise Ship. The students had to make up their passport, decide what clothes and toiletries they would take and plan the whole adventure. The project culminated in the students going on an excursion to Station Pier to see the docked cruise ship ‘Johan van Oldenbarneveldt’. Bronwen recollects that each morning the students would gather for assembly in the quadrangle and they used to have to march to music into their classroom. “Marching in formation was one of the activities that we learnt whilst at school”. Due to the power of social media, Bronwen has been able to connect with many of her primary school friends from Rosanna and remains in contact with them. ​Ms Sharon Henderson has been part of the Rosanna Primary School staff since 1998 but her connections to the school date back a lot longer. Her partner, Alan, attended the school from 1968-1974 and her own children, Trent (1993-1999), Charlotte (2002-2007) and Martin (2003-2009) were also students at Rosanna. Sharon commenced her position at Rosanna when the late Mr Lindsey Chandler was Principal. She worked in the school office and as a Teacher’s Aide which she continues today. Sharon reflected on the changes that have taken place during her tenure, “I've seen lots of changes over the years within the school, from teachers joining us and leaving, retiring, students moving on. The different structures of classes, the administration/office area changes, the building of the 1/2 area, Chandler hall/music/canteen, a new staffroom, the toilet block below becoming our computer & sports rooms, a shed on the oval, the new BER building, our veggie patch, an improved library and lately the demolition of the lower building, all for the growth/improvement of the times”. “Rosanna PS is a very special place because of a number of reasons including the community feel, my colleagues and the values/teaching that are held high at Rosanna,” continued Sharon. Sharon’s 18 years are filled with so many memories, too many to mention, but some which have significant meaning for Sharon personally include; the first day her own children started school, seeing the growth of the children she has worked with, the contact she has with parents, the friendships she has with her colleagues and even down to the fun excursion and camps she attend attended years ago. A big thank you to all the staff past and present for making Rosanna Primary school what it is today. Signora Tarquinio commenced teaching at Rosanna Primary School in 1994, 21 years ago, under the principalship of Mr Keith Granger and, as you probably have guessed, Signora is Rosanna’s Italian Language teacher. 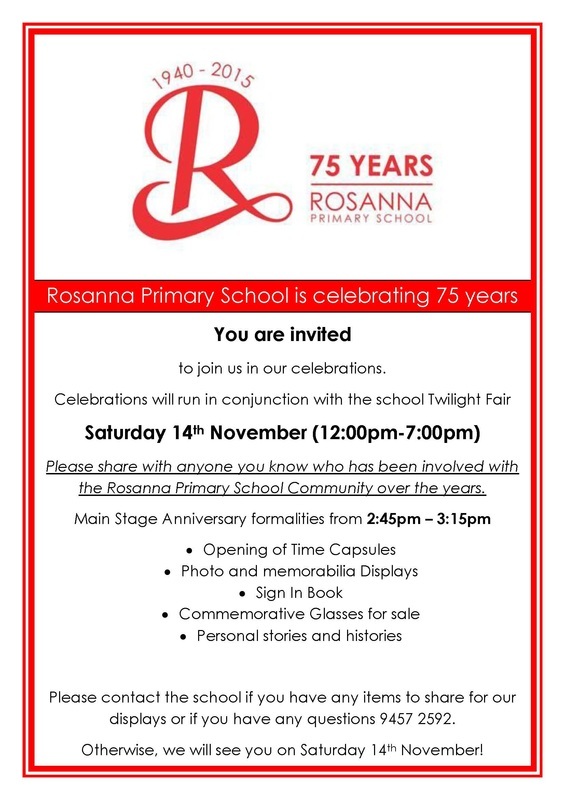 ​Mrs Margo Daws, a past parent of Rosanna Primary School, was instrumental in the organisation of Rosanna Primary’s 40th Anniversary in 1980. Lots of hard work went into collecting stories and photos. The Daws children, Lyn and grand daughter Leah (pictured), as well as Colin and Susan, attend Rosanna Primary in the late 60s and early 70s however Mrs Daws’ association continued well after her children left for secondary school. This is a testament to the lifelong connection many people have formed with Rosanna Primary. 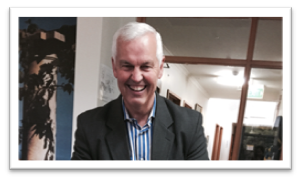 ​Mrs Daws shares some of her memories of the 40th Anniversary celebrations in this podcast. This week we had the privilege of meeting two remarkable women, both past teachers at Rosanna Primary School. Miss Wilson taught Prep in the Infant School from 1954 to 1958 with her first Prep class comprising of 73 students. Miss Wilson recollects that her class had a small wood heater in the corner of her room and they were rationed to only 6 pieces of wood a day. “Even though I had 73 students in a small room, we still had great fun” reminisces Miss Wilson. In her first year as a teacher at Rosanna, Miss Wilson decided to take all 73 students in her Prep class to the Royal Melbourne Show for the day - just her and 73 students travelling on the old red train to the Show. Miss Wilson says, “Keeping track of that many children on her own was simple. All the children were instructed to hold on to one long piece of rope and not to let go”. Can you imagine that happening today? From the late ‘60s to the mid ‘80s Mrs. Naida Harris was a teacher at Rosanna PS and saw lots of changes in the school through her career. When Mrs. Harris first started there were 2 separate staffrooms – one for the male teachers and one for the female teachers. As with Miss Wilson, Mrs. Harris recalls the large numbers of students in each class and the wonderful community feeling amongst the staff, students and parents. The Harris children also attended Rosanna Primary School during the 60s and 70s. Both Mrs. Harris and Miss Wilson remain residents of our local Rosanna community. We take this opportunity to thank all of our past teachers for the contribution they made to make Rosanna Primary School what it is today.